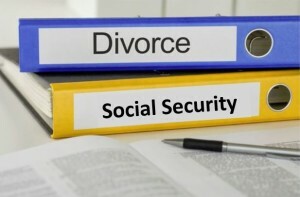 Can you file for Social Security benefits on your ex-spouse’s record? Absolutely! The best part? They’ll never know. So laugh your devious laugh and shake your fist in the air…I’m going to show you how. It’s well documented that divorce will often have a financial impact of some type for both parties. But what it may not impact is your ability to file for Social Security on your ex-spouse’s record. All you need to do is meet the qualifications. -Your marriage must have lasted at least 10 years. -You must be 62 or older. That’s it. But if we stop there, we’re only telling half the story. What About if Your Ex-Spouse Hasn’t Filed? You can collect on your ex-spouse’s record even if he or she hasn’t applied for benefits; however, you must have been divorced for at least two years. What About if Your Ex-Spouse is Deceased? Even better! Not because they are dead, but now you may be able to collect a survivor benefit. If they were the higher income earner, your benefit would be equal to his/her full benefit minus any reduction for your age. Also, you can file for a survivor benefit as early as age 60. But be warned, if you remarry prior to age 60, you lose the right to claim on an ex-spouse’s record — at least until the subsequent marriage(s) end in death or divorce. If you remarry after age 60, you are eligible to receive benefits based on the highest of your benefit, your current spouse’s benefit, or your deceased spouse’s survivor benefit. As long as all marriages have ended, and you’ve met the length of marriage rules, you can choose the highest benefit from any of your ex-spouses. Don’t grab your keys and head off to your local Social Security office just yet. Just because you can file on your ex-spouse’s benefit doesn’t mean that you should. At least, know your options about some filing strategies that could drastically increase the amount of cash flow and lifetime benefits you could receive. Here’s the first example. In this case we’ll assume your ex is still alive. At your age 66, you could file a restricted application for spousal benefits only. This would mean that you would collect 50% of the full retirement age benefit for which your ex-spouse is entitled. You could take this amount for the next four years until your age 70. During that 4 year period your benefit amount would increase by 8% per year. At age 70, you simply switch to your own benefit which is now 32% higher! Update: The Bipartisan Budget Act of 2015 has eliminated this strategy except for those who attain age 62 prior to December 31, 2015. For more information, please read my article Social Security Claiming Strategies: Who Can Still Use Them. The next example is based on a deceased ex-spouse. If you have met the length of marriage rules, and don’t exceed the income limitation, you could file for a survivor benefit as early as age 60 and switch back to your own benefit at full retirement age or later. Remember that a survivor benefit is equal to your ex-spouses full benefit minus any reduction for your age, so this strategy could reap big rewards in attaining more retirement cash flow. These strategies will not work for everyone. There are simply too many variables that must be considered. So where do you turn for help? First, don’t expect the Social Security Administration to look at all of your prior marriages and make a determination about which eligible benefit is best for you. They make it pretty clear…proving that there are eligible benefits from prior marriages is the responsibility of the claimant. Unless individuals know the rules, it’s pretty easy (and common!) to miss benefits from a prior marriage. Adding to this is that once you are divorced, the Social Security Administration stops sharing information about your ex-spouse’s benefit amount with you. That’s great for privacy, but bad for obtaining information and planning. However, if you ask them specific questions, they will answer. See their publication on Social Security and Divorce here. At least now you know that you need to dig into the rules and figure out your options before you make a filing mistake. What do you think? Are you concerned you may be missing out on benefits? Can u claim ex husbands SSDI & ur own SSI at same time. I’m 65 & get SSDI under my ex husband. I have never claimed my SSI & have a permanante disability.